If you are looking for innovative and proven ways to increase your revenue and market share then now is the time to invest in a new playground from Soft Play. Our designs are the most creative and innovative in the industry and can be easily customized to meet your space, your customers and your budget. The only limit is your imagination. Soft Play has the resources, experience and ability to deliver a world-class solution every time. 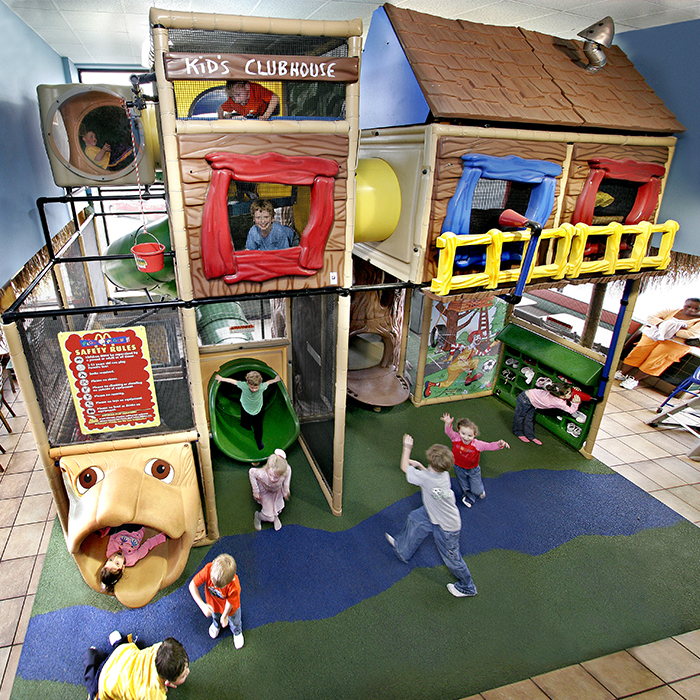 Commercial indoor playgrounds for restaurants are a great way to make eating establishments unique. Few dining establishments have play areas as well, making you stand out if you offer a play space. Best of all, play areas can make your restaurant appeal to families, and restaurant playground equipment can help attract more families to your business and can maximize ROI. When you have an indoor playground for your child-aged customers, you instantly make your restaurant more appealing to families looking for a family-friendly atmosphere. Parents may feel relieved to know they can let their kids safely play while they’re enjoying their meal. 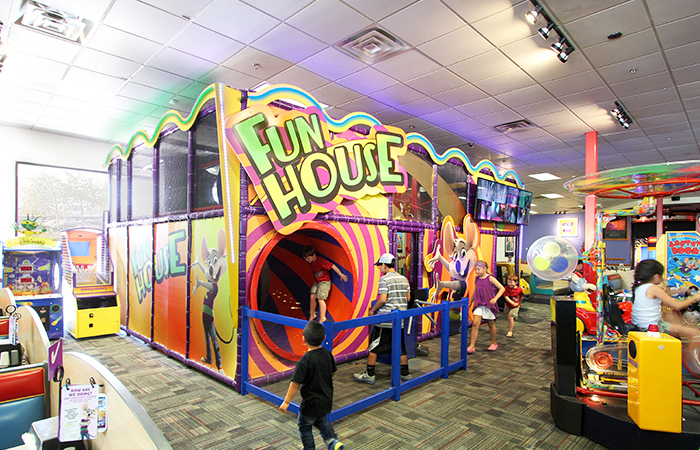 In addition, having play areas shows you’re a family-focused business. 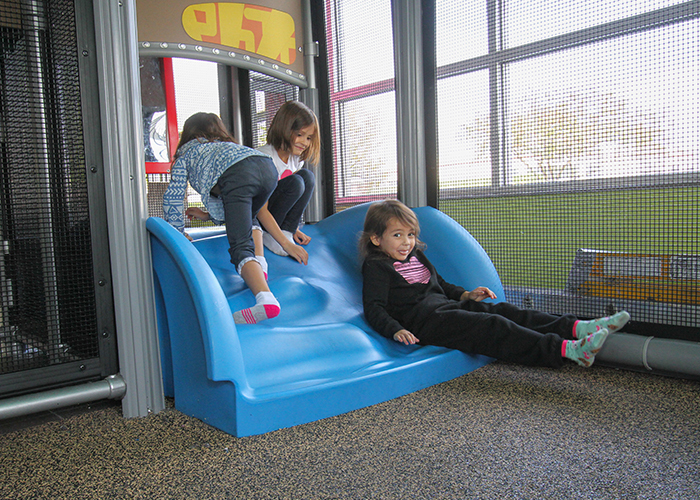 Playgrounds can encourage customers to stay longer and to linger. Knowing children are playing puts parents at ease, which can help keep families at your establishment longer. With children playing happily, families can linger over their meal and could even encourage them to return again with friends. 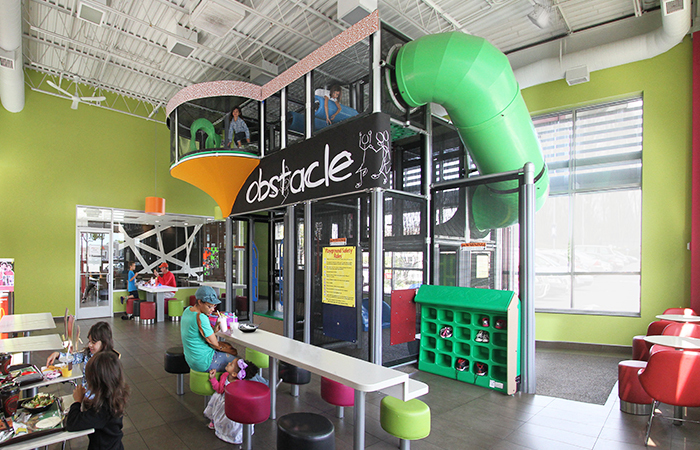 Soft Play® commercial indoor restaurant playgrounds are a great investment for restaurants because they’re made out of durable, quality materials which will last for years and help you maximize your investment over time. With unique and custom designs, Soft Play indoor playgrounds for restaurants can help you with branding and can match your décor and colors exactly, making your play area a seamless part of your restaurant. Soft Play indoor playgrounds can also be customized for any budget, room, theme or space limitation. No matter what your restaurant area is like, Soft Play can help you create safe, fun and enticing playground equipment for your dining establishment. Contact Soft Play today to learn about our custom options or browse our online catalog to find out what equipment we have available. We know that modern play area designs create positive entertainment experience for parents, kids and restaurant owners. Our play systems offer open designs for easy monitoring and access with limited entry and exit points to reduce safety surfacing needs, to make sure parents can relax and share the fun, while staying in visual contact with their kids at all times. When designing a play area for your restaurant, it’s important to get a help of an experienced playground consultant. Our team has over 30 years of experience working with nationally known restaurant chains. We work closely with you to guide you through the process and help you develop your vision and ensure successful design and installation. We understand that restaurant owners need to create play areas that have a return on investment. We understand that restaurants give up space and take on additional maintenance responsibilities when installing a play structure. That’s why we design structures that help you maximize your space, reduce maintenance, build brand loyalty and increase your customer satisfaction. Why wait? If you’re looking for a cost-effective, family-friendly way to attract customers to your restaurant, contact Soft Play today to learn more about our playgrounds solutions! 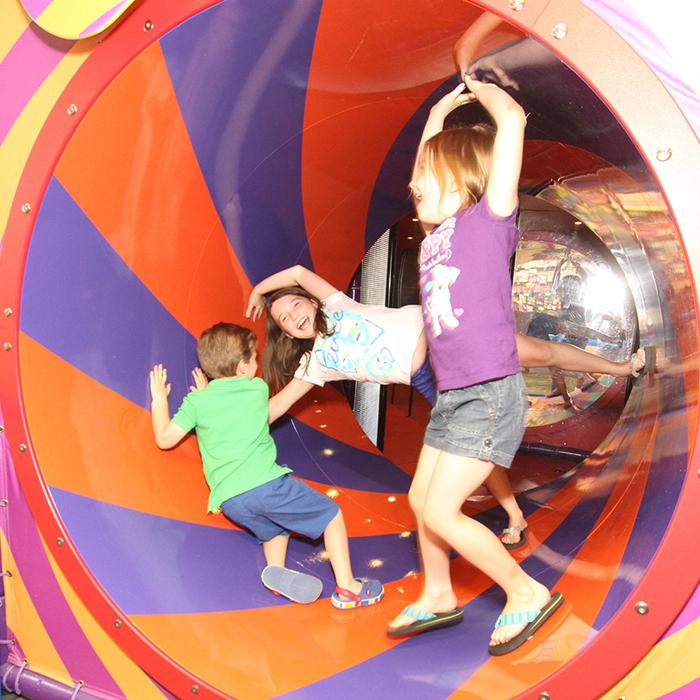 The new indoor PlayPlace is the best and coolest around! Customers love it. Parents like the fact that they can come for lunch and let their kids play safely. As we were preparing to open Bullwinkle’s, we knew we wanted some kind of playground equipment. After doing some serious research, going to trade shows and talking to lots of people, we chose Soft Play because of their experience and unsurpassed maintenance reputation. It was definitely the right decision. We love that Soft Play was willing and able to build exactly what we wanted. Plus, it’s been a great personal relationship. Everyone from the Soft Play sales rep to the maintenance crew has been first class. We are extremely pleased with the Soft Play playground installed at our store. We were pleased with the entire process, from initial sales contact, to design all the way through to installation. We were, however, most pleased with the 22% increase in our same month comparative sales. We can without hesitation recommend Soft Play to any Dairy Queen operator.